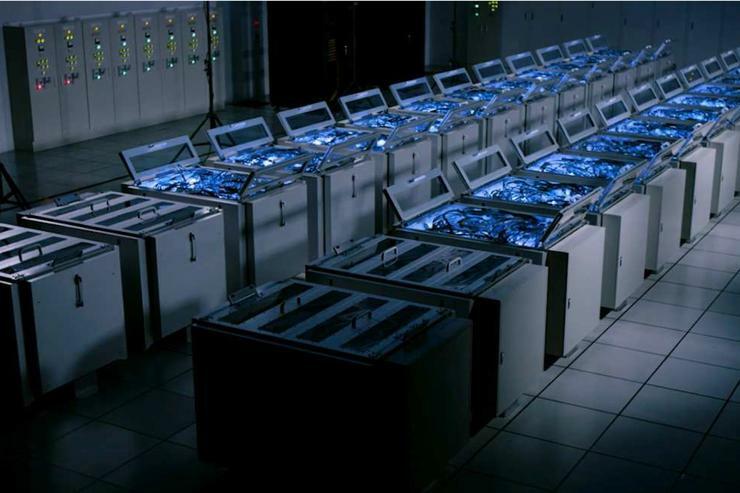 Supercomputing is becoming super-efficient. The highest climber in the latest Top500 list of the world's fastest supercomputers is also one of the highest scorers on the Green500 ranking of the world's most efficient. But the November 2017 edition of the Top500 and Green500 is also remarkable in other ways, as it marks a tipping point in U.S. dominance of the list. Chinese systems now outnumber U.S. systems on the list by 202 to 144 -- a reversal of the situation just six months ago, when the U.S. had 169 systems in the Top500 to China's 160. It will still be a long while before third-placed Japan overtakes the U.S.: It has 35 systems in the list, followed by Germany with 20, France with 18, and the UK with 15. China has held on to the top two places this time around, with Sunway TaihuLight still in first with a maximum sustained performance of 93.01 petaflops and Tianhe-2 (Milky Way-2) in second with 33.86 petaflops. Switzerland's Piz Daint jumped up to third place in June following an upgrade to a maxium sustained performance of 19.59 petaflops, and it's still there. Gyoukou's standout feature is its power efficiency of 14.17 gigaflops/watt, double the efficiency of its neighbours in the Top500 rankings. According to the Green500 rankings, Gyoukou isn't the most efficient computer in the world -- in that it's beaten by three other Japanese systems built with the Pezy-SC2 accelerators and a U.S. one built with Nvidia Tesla V100s -- but it's by far the fastest system to prove so efficient. The other four rank between 149th and 308th for raw performance. The rise of Gyoukou in the Top500 bumped the U.S. systems Titan (built by Cray) and Sequoia (IBM) down a place, while seventh place was snatched by another Cray system, Trinity, which has recently been upgraded from 8.10 petaflops to 14.14 petaflops.